Wonderful news, Champions! 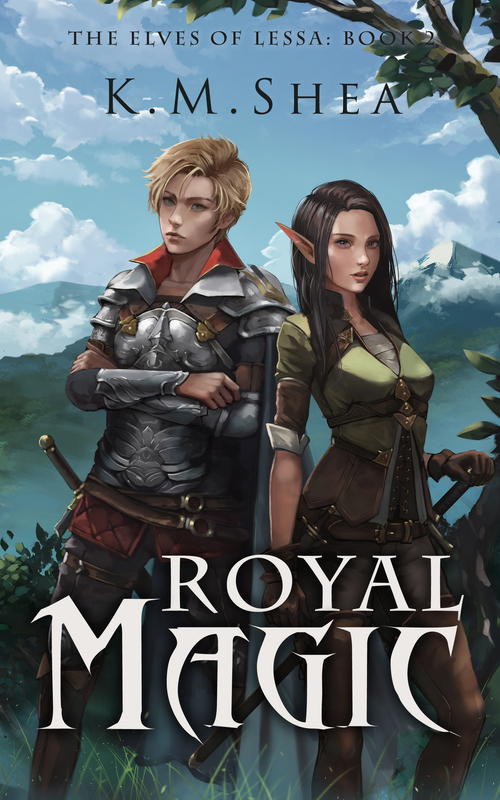 Royal Magic–the long awaited stand alone sequel story to Red Rope of Fate–is now available for preorder. (Click here for the American store and here for the UK store!) It’s launching July 27th! Gwendafyn is given a chance to flee the role that has ensnared her when she realizes there is one escape that not even her family traditions can prevent: marriage to a human from Calnor. But with most humans and elves unable to speak the same language, her options are limited. She starts to lose hope when the human translators only see her title and treat her with fear and awe. I can’t wait for this story to launch! I hope you guys enjoy it–it’s been a long time in coming. Until next time, thanks for reading! No, I don’t want to wait! I love that description of Gwendafyn. I’m eagerly awaiting the arrival of Royal Magic! Can’t wait!!! Can’t wait!!! Can’t wait!!! Thank you for a wonderful book, in advance!!! Can’t wait to read it! 😄 The cover looks great, too!